Me and the Missus went to the Watts Gallery just outside Guildford at the weekend. GF Watts was a celebrated Victorian artist who worked mainly as a symbolist painter but also dabbled in social realism and sculpture and even had a few paintings that were almost impressionistic. His second wife Mary was a potter, who was very much part of the arts and crafts movement, and the Watts Gallery with the Watts Chapel just down the road was fab. 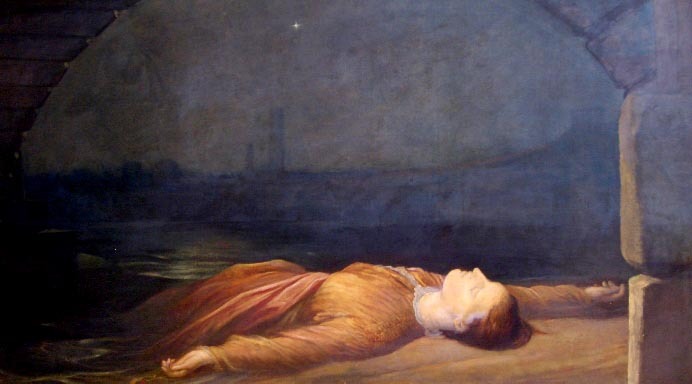 I also saw the original of Found Drowned by GF Watts, a picture of a prostitute who committed suicide in London. I'm trying to get permission to use this painting as the key image for the project I'm working on about the Contagious Diseases Act, which will be the launch project for my new theatre company.